Enter your dates and choose out of 5 properties! Room by hours in Florence – Are you looking forward to booking an hourly room in Florence Italy for your upcoming trip? It has been quite a long time now, where people book a full day hotel room even when they need it for few hours. But what about when you just need six hours at a hotel, whether it be for a long layover, to host a meeting or to crash in between meetings, or even to escape the humdrum of your everyday routine? We at Bakuun.com completely understand your situation and thus have different types of hourly rooms available. You can feel free to contact us anytime to get the day use room in Florence. Despite the advancement and development in the world, there is still a taboo associated with the day stay hotels. But now, the time is changing for all the good reasons. In the recent times, people are finally realizing the importance and benefits that day rooms have in store for the travelers. Day stay hotels are much more than the couple –friendly rooms. Why should you book Hourly Rooms in Florence? There are plenty of reasons on why you should consider booking the room by hour’s hotels in Florence. The demand for these kinds of rooms is increasing with the each passing day. If you have ever booked a 24 hours hotel when you just need it for the few hours then you should definitely book it on your next travel plan. If you still need more reasons to book these rooms, then below listed are some of the other major reasons that will compel you to book day stay hotel rooms. If you are an explorer and want the hotels for just few hours then Day use hotel rooms could be the best option for you. You will actually pay less for the shorter duration of your stay in the hotels. Have you ever wanted to use the luxury lounges, swimming pools, and other luxurious services? If the answer is yes, then Day use hotels help you in making your dream true and that too at an affordable price. Waiting at the reception of the hotel before your check in time is not at all delightful. Thus, daytime hotels help you rescue from the long or short layovers. Also, waiting at the airport can be a little frustrating without the hourly room service. With these rooms, you can easily rest in the hotel room till the boarding time of your flight. 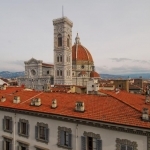 Considered one of the most beautiful cities in the world, hotel trading in Florence remained surprisingly robust throughout 2012 despite Italy’s on-going economic difficulties. After a solid rise in occupancy levels, the Florence hotel market is expected to continue improving throughout the year and after. Till now, the tourism and hospitality industry in Florence is seeing major growth and development. The demand for both 24 hours and hourly rooms is increasing not only in Florence but everywhere as well. One of the other major reasons behind the growth of the hotels is the increasing number of tourists visiting annually. Another reason that triggers the growth of the room by hours is that it also that they not only benefit the customers and travelers but also the hotels in plenty of ways. Why should you choose Bakuun.com for the best Hourly Rooms in Florence? If you want a place where you can get the best hourly rooms in Florence, then we at Bakuum.com could be the perfect choice for you anytime. We have our connections with almost every range of hotels that offer the room by hour’s service to the customers. Unlike the other services, you can book the best rooms at an affordable rate not only in Florence but in other parts as well. Book the room by hours if you are looking for the following options. 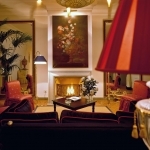 Day stay hotels in Florence. Room by hours in Florence. Day use Rooms in Florence. Day time hotels and rooms. Aforementioned are the various types of rooms you can choose from. By choosing us, you can avail various offers by the hotels plus the discounts and deals we offer to our customers. Also, you can feel free to contact us anytime to get the best rooms and deals.